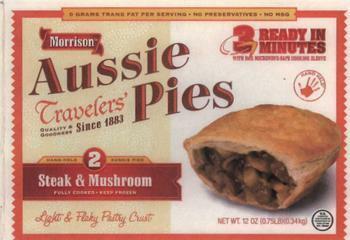 Corn Maiden Foods of Harbor City, Calif., is recalling approximately 2,133 pounds of ready-to-eat Morrison Aussie Travelers’ Pies. The products contains monosodium glutamate (MSG)which is not declared on the label. The recalled product, bearing establishment number “Est. 20689” inside the USDA mark of inspection, was distributed to retail locations in California. Consumers with questions about the recall may contact Pascal Dropsy at (310) 784-0400.